Now Mazda has NO excuse not to build faster versions. 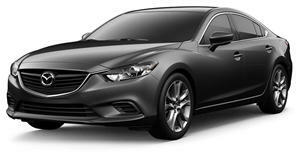 Ever since the introduction of the newest Mazda 3 and Mazda 6, people have been clamoring for turbocharged MazdaSpeed models. Unfortunately for enthusiasts, Mazda has repeatedly said it is not interested in building these models because they would be too "childish." We thought that we wouldn't see any good news about the future of MazdaSpeed models, until the reveal of the new CX-9. The CX-9 is far from an enthusiast car, but it does have something that we previously thought was impossible, a turbocharged SkyActive engine. The 2.5-liter turbocharged four-cylinder in the CX-9 produces 250 hp and 310 lb-ft of torque. These numbers are not bad, but we wouldn't call the heavy CX-9 "sporty." However, this engine does get us excited for future Mazda cars. 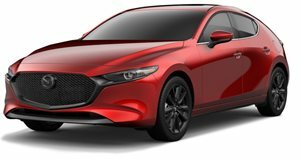 Mazda North America vehicle development engineer Dave Coleman told Car Advice that the turbocharged engine would fit in any Mazda vehicle that already accepts the 2.5-liter gas engine. He explains that "Basically, that big space we used for the bundle of snakes exhaust manifold, the turbo is in that space too. They're all packaged to occupy the same space. It's exactly the same clearance as the exhaust manifold of the other engines." In other words, the turbo engine will fit in the 3 and the 6. This is excellent news for enthusiasts. Mazda simply needs to put this engine in the 3 and the 6. With around 250-300 horsepower, the 3 and 6 would be able to compete with cars like the Focus ST and Ford Fusion Sport. Come on Mazda! Now you have absolutely no excuses!